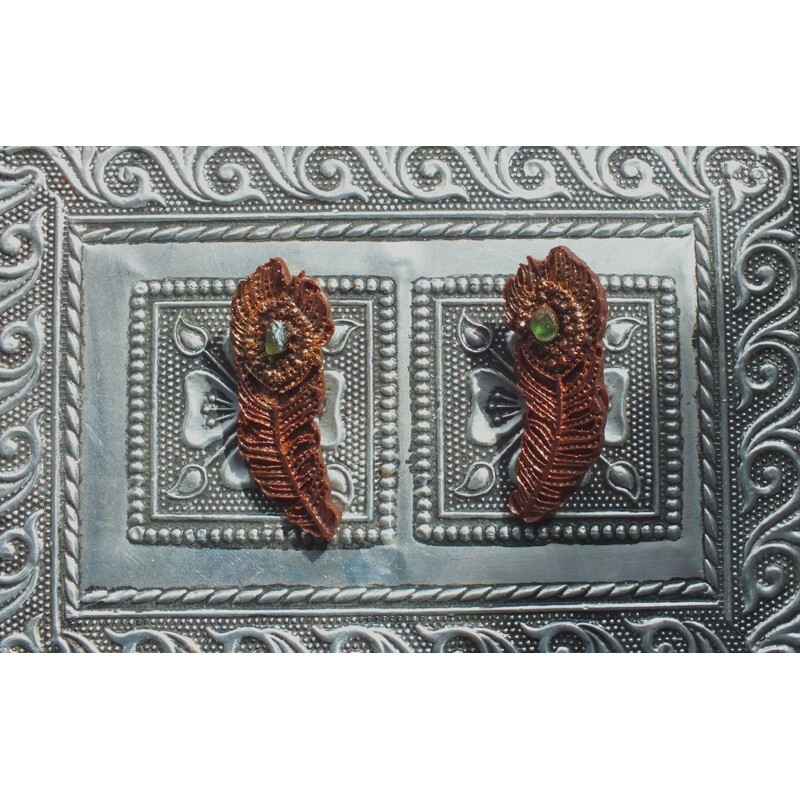 Our delicate peacock feather chocolate earrings are made with single origin 64% Madagascan chocolate complete with an edible gemstone centre. The earrings can be worn although we don't recommend it on a hot day! 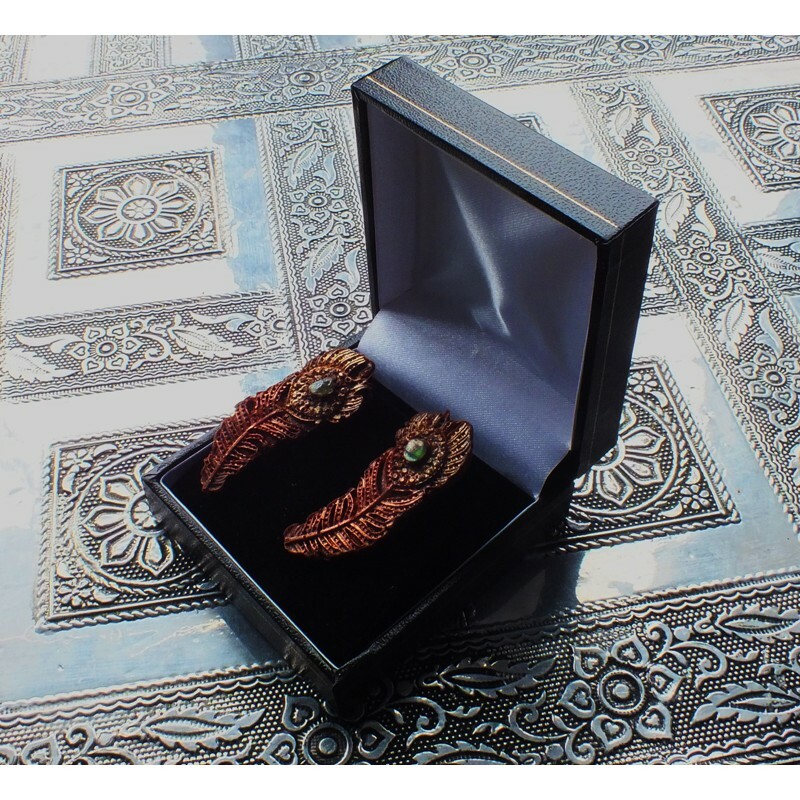 They come packaged in jewellery box making a unique special gift. Silver plated earring posts not edible.